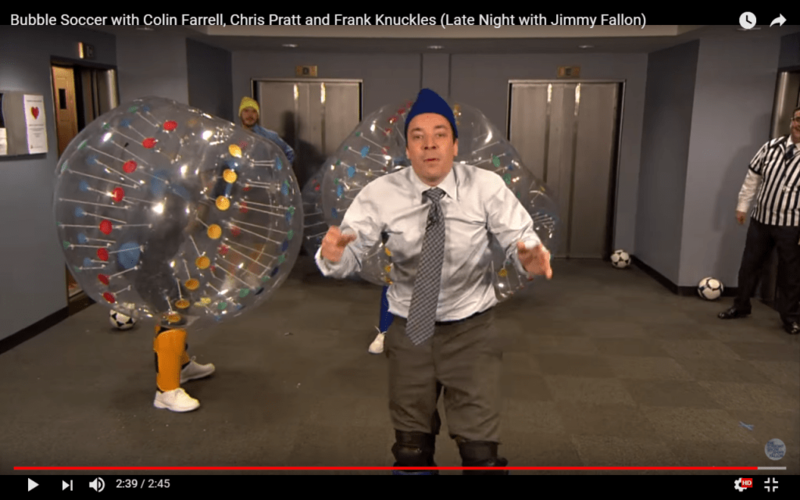 Collin Farrel, Chris Prat and Frank Knuckles playing Bubble Football? It is obvious to say that Bubble Soccer – called this way in the States, and Bubble Football – called this way almost elsewhere, is getting more and more attraction. So, no wonder why even Hollywood stars like Collin Farrel wants to try it too. Watch yourself to find out the score!